The band recorded its first album entitled „Raw Soul Express“ and released it in 1976. While active, R.S.E. was the opening act for many headliners including James Brown, Kool and the Gang, Gladys Knight and New Birth. For its 40th anniversary the band has reunited and will issue what would have been their second album now named „The Best Kept Secret“. These songs were recorded approximately 35 years ago; most of which have never been heard. Brand New Old School. Raw Soul Express will be revealing its most recent project, including a new song and video. Original member, bass guitar [b. vocals] Songwriter and producer. Albie has worked with Bobby Caldwell, Eugene Wilde and KC & the Sunshine Band. He also is co-writer of „I’ll Never Break Your Heart“ [The Backstreet Boys]. Original member, lead vocals [b. vocals, sax, flute] Songwriter, performer. He has worked with Joe Walsh [The Eagles] on and off from 1985 until the present, and sang backing vocals on “Footloose“ [Kenny Loggins]. 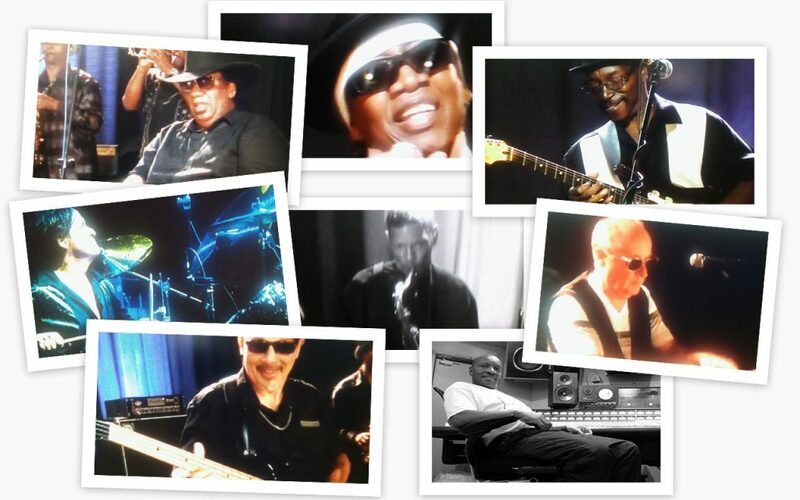 Rickey has recorded with Lenny Kravitz and Al Kooper and recently performed on “The Voice“ in Germany to stellar reviews. Original member, keyboards, [b, vocals]. Songwriter, arranger, creator and leader of R.S.E. Working mainly in the gospel genre, Chris has continued to write and record in gospel and secular music, while still finding time to perform in churches throughout Florida. Original member, guitar [ b. vocals]. Songwriter, performer. Tommy has recorded and performed live with an array of styles and artists including Betty Wright, Timmy Thomas, KC and the Sunshine Band and Eugene Wilde. Original member, tenor & alto sax, keyboards, flute. Musical director, horn arranger, known as „Maestro“, John graduated from the Manhattan School of Music, eventually achieving the position of musical director for the show “Ain’t Misbehavin” which toured worldwide. He also appeared playing keyboard in the movie “The Bodyguard“, and has written and played on numerous albums. Long time member, keyboards, [b. vocals]. Songwriter, arranger. Paul attended the Boston Conservatory of Music. He has performed with Ben E. King, Betty Wright, The Chi-Lites and recorded keyboards on B.B. King’s Grammy Award winning “Six Silver Strings“ album. Long time member, Drummer, percussion. John attended and graduated with a degree in music from the University of Miami. He’s worked with Clarence Clemmons, Blue Notes and performed and recorded with KC and the Sunshine Band. Like most of the members John has toured throughout North and South America, Europe, Asia and Australia.